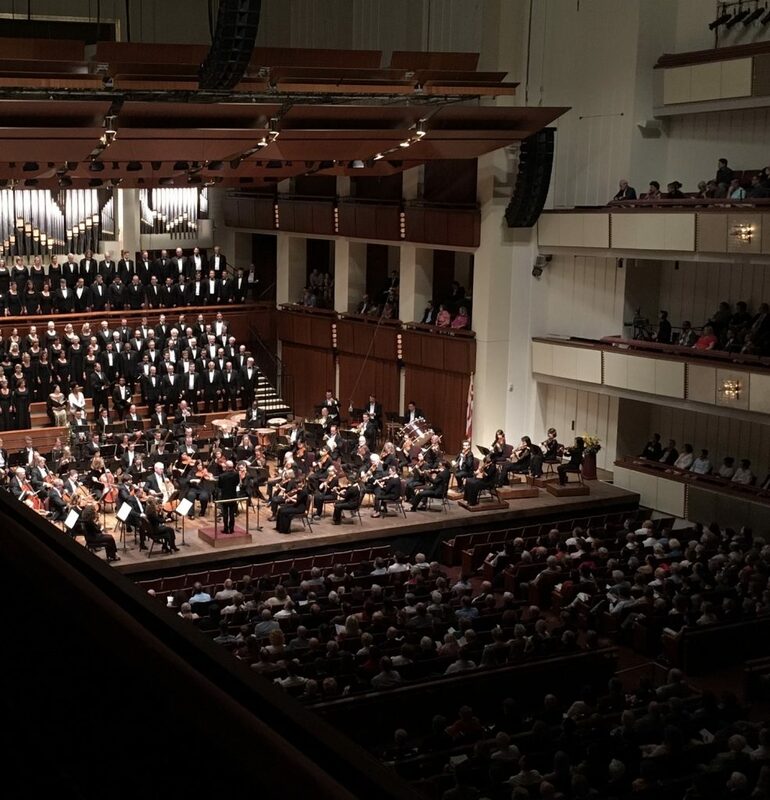 One Sunday evening last month, my husband and I sat in a side balcony in the Concert Hall at the Kennedy Center, waiting for the music to begin. We looked down at the stage, where National Symphony Orchestra musicians in tuxes and glittering gowns sat before the expectant audience. The conductor raised his baton, instruments went up, bows hovered above strings. And then, the unexpected occurred: the opening strains of “The Star-Spangled Banner” floated out into the auditorium. I’d spent a good amount of time that morning liking and sharing content on social media about the Take a Knee protest in professional sports. Some people, having lost sight of the original meaning of the protest, are upset by what they perceive as a lack of respect for the flag. I, on the other hand, stand behind our right to protest peacefully against racial injustice. Like many Americans, I was taken aback by our commander-in-chief’s profanity-laden attack on this peaceful protest, particularly on the heels of finding “good people” on both sides of a neo-Nazi rally that was marked with violence. Debates surrounding the Take a Knee protest had been my focus earlier that day, but I had not expected to face the same issue in the Concert Hall that evening. In the darkened auditorium, everyone around me rose from their seats. We’d all been taught to do this as children. It was my instinct to stand as well. But as a mixed-race American who had just spent the day advocating for our right to protest, I felt equally unable to rise. In that concert hall, surrounded by men, women, and children standing for the national anthem, I had to make a choice. I felt disoriented, hearing the anthem in that setting. I couldn’t imagine why it was even happening. I’d attended, and performed in, scores of band and orchestra concerts, and I’d played the piece myself on many occasions, but I’d never heard it performed at the symphony. It was as if the soundtrack of football games and outdoor concerts had intruded into the concert hall. Later I discovered that most orchestras play the anthem at season premieres—I was simply unaware of that because I had never attended one. In a way, I was out of place in that situation, but at that moment, it was the anthem that felt out of place, an unnecessary politicization of a cultural event. I kept my gaze forward and sat still. My goal was not to make a scene, but I felt it would be hypocritical to stand. I peered down at the well-dressed, professionally coiffed audience in the main orchestra section below, where everyone stood with hands over hearts as though nothing related to this ritual had appeared in the news. This surprised me as much as the anthem. With all the hue and cry surrounding the Take a Knee protest, I thought, there must be other people who would be sitting. They had considered it, at least, I was sure. But how could I be the only one who had acted on it? As the music played on, my face grew warm, and my stomach tightened. I felt alienated, as though I, alone, could no longer enjoy the simple pleasure of standing for this song I had known since childhood. When I was in school, we all stood every morning and recited the Pledge of Allegiance together, and we meant it. The idea of being American was something that made us proud and bound us together. Now that I know more about our history—and given what’s happening today—it’s not that simple anymore. Being American is not, in itself, enough to make us just and good and unified. But that night at the symphony, I found myself wishing it were, if only for a moment. The anthem seemed to go on forever. I was exceedingly conscious of my solitary status. I scanned the crowd in the hope of finding others who were sitting it out. All eyes seemed to be on the orchestra, all hands on hearts. I felt invisible, apart from society, and keenly alone. Was I overreacting? Was I taking this particular demonstration of ideals into the wrong venue? I began to wonder if my gesture would be misunderstood as petty or meaningless, or otherwise murky in its intent. But halfway through, I spotted a white woman sitting quietly in the balcony across from me. I was comforted knowing that I was not the only one, and that it was not only black people who were protesting. The music swelled, and I found myself singing along in my head about “rockets’ red glare,” even as I remained motionless along with my ally across the concert hall. I was not alone. We are not alone. And our protest makes us no less American. I wrestled with sitting that night, but I know that it would be unfair to think that those who stood were not wrestling with their positions as well. I know this because my husband, who is white, stood. He stood reflexively—and very uncomfortably once he remembered the protest. He apologized afterward, but I told him there was no need to. I know he respects me and my family, and he is just as troubled by systemic racism as I am. He did not need to sit to prove that to me. The goal is not to force everyone into a new group-think in which no one is allowed to stand during the anthem. It’s to encourage us to think more critically about the country the anthem represents, to consider whether this nation is living up to its full potential. And yes, to think about it not only in classrooms, during debates, and at protests, but also in other spaces where life happens, such as at games and concerts. That night at the symphony, I was discomfited at first by the collision of politics and pleasure. Remaining seated was not a heroic feat—classical music crowds are not known for booing or maiming dissenters. But acting on my convictions in this unexpected circumstance gave me courage and prompted a conversation with my husband about how we can respond to the anthem together in the future. I know we are not the only family having this discussion. It’s an important one to have, and it’s the whole point of taking a knee. Each of us has the power—and the responsibility—to reflect on and constantly reevaluate the society behind our symbols and, when necessary, take a knee in our own way.